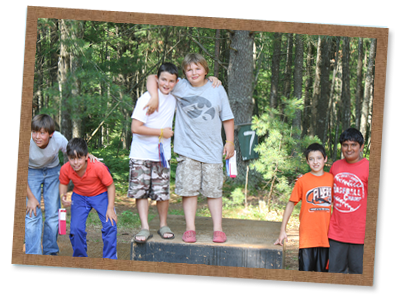 Towering Pines Camp has a specially designed program of recreation, skill development, and leadership training. Campers spend their summers participating in activities, building social skills and having fun! Our camp alumni describe this as the best time of their childhood. Campers discover exciting things about themselves and their personal potential through a variety of self-selected recreational activities. 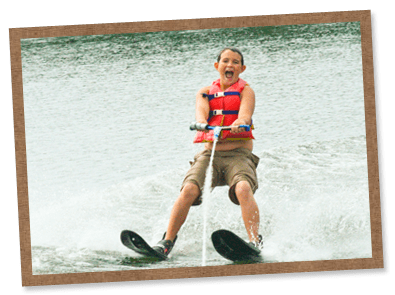 Kids learn new skills (artistic, athletic, aquatic, social, etc. ), while being “unplugged” from the distractions of everyday life. They become confident of what they can accomplish with natural talents, individual effort, and continued practice. Campers can be themselves and grow in a positive environment. Each come to camp worried about the old friends left behind and the new friends yet to be made. In this supportive camp community, they build lifelong friendships through shared experiences, laughter, and their relationships with boys from all over the world. 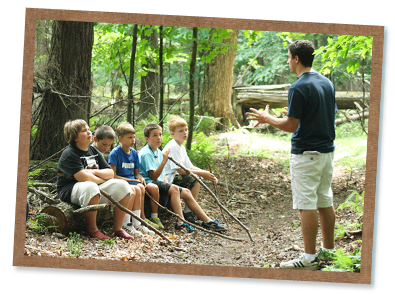 Campers develop important life skills essential to becoming responsible adults and future leaders. Kids learn teamwork, problem solving, cooperation, compromise, listening, and mutual respect with their fellow campers. Through the power of play, opportunities to lead are presented and practiced at all age levels. Our Counselor-in-Training (CIT) program for high school students provides further leadership development opportunities. Nicholas came home with a much greater sense of confidence and maturity. His swimming has improved drastically . . . the list could go on and on.